This paper addresses the question of what should determine whether students’ answers to closed questions are marked as correct or incorrect in the context of formal religious education, and when their answers to open ended questions should be given more or less credit. Drawing on insights from Craig Bourne, Emily Caddick Bourne and Clare Jarmy, I argue that a combination of judged truth, and a range of well-argued cases about what ought to be believed given certain premises should constrain these assessment practices. Furthermore, I argue that if we cannot find any consistent, nonarbitrary account of how judgements of correctness and merit are in fact being made in the context of formal religious education, then this tells more against current practice’s inconsistency and arbitrariness than against these constraints on how judgements of correctness and merit should be made. Carter, J. A. and B. Kotzee. 2015. 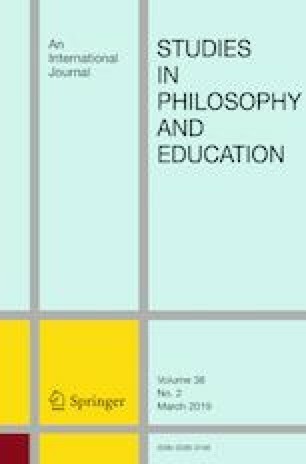 “The Epistemology of Education”, Oxford Bibliographies Online. Available at: http://oxfordindex.oup.com/view/10.1093/obo/9780195396577.016.0292.